Do you need a well-deserved break from your normal chess openings? Are you tired of constantly having to keep up with modern chess theory? Or perhaps you simply wish to try out something new and inspiring, but cannot decide amongst the numerous choices available? Look no further for the answer! 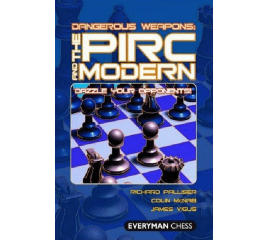 In "Dangerous Weapons: The Pirc and Modern", prominent opening specialists take a revolutionary look at two popular and closely related openings. This is White's fianchetto against the King's Indian Defense 1.d4 Nf6 2.c4 g6 3.Nf3 Bg7 4.g3. 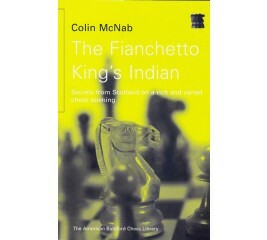 An ideal choice for those who want to deny King's Indian players their usual attacking plans. White's harmonious scheme of development, envisaging strong pressure against Black's queenside, has appealed to many of the all-time greats - Alekhine, Botvinnik, Karpov, and Kasparov.